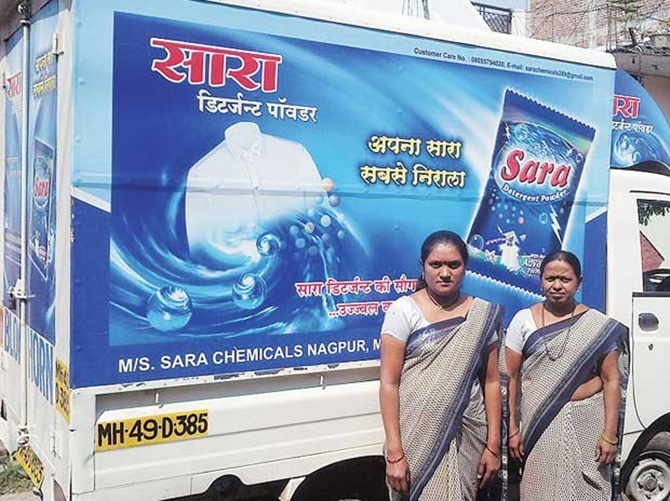 Pushpal Shinde now earns some Rs 50,000 a month by selling washing powders under the brand SARA. Some years ago, 44-year-old Pushpal Shinde sold artificial jewellery in Nagpur and earned about Rs 15,000 a month, but it was not enough to pay for household expenses and still give her children a proper education. She now earns some Rs 50,000 a month by selling washing powders under the brand SARA. She also employs four persons. K Ratna, 35, living on the outskirts of Chennai, traded in textiles in a small way. Her business was funded by the money she borrowed from an individual who charged her an exorbitant rate of interest. The business failed and she was saddled with huge debts. Now, she proudly says, she has not only paid off the debts but runs her own business (manufacturing and selling agarbattis, or incense sticks) and can also afford to educate her daughter. Her dream is to have her own brand, just like Shinde. 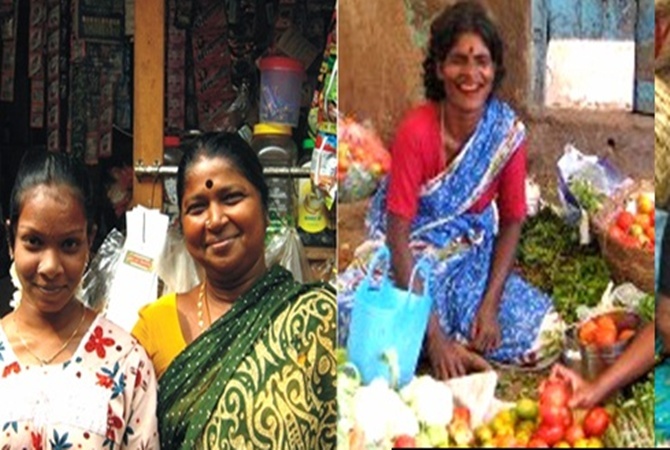 What connects these two women from two different parts of India is Equitas Micro Finance Private Limited, a Chennai-based microfinance company founded in 2007 by P N Vasudevan, a former senior executive of Cholamandalam Investment & Finance Co Ltd and DCB Bank. Shinde and Ratna are among some 375,000 individuals (out of 2.7 million who have been loaned money) that have been trained by Equitas to become entrepreneurs. 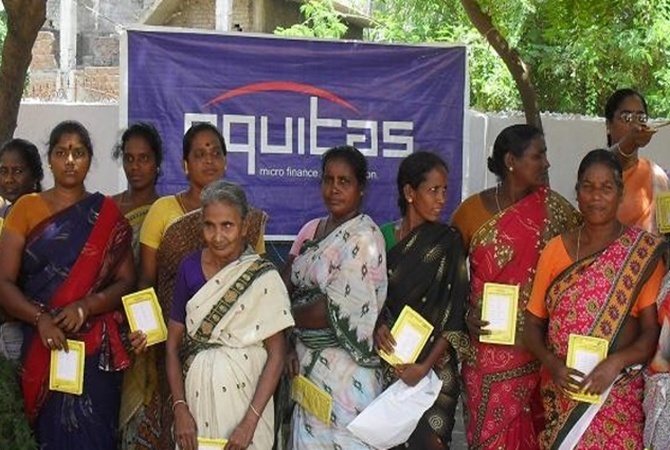 Equitas offers micro credit to people - especially poor rural and urban women - who are otherwise unable to access finance from mainstream banking channels, to enable them to start income-generating activities. Starting as a microfinance company, it is now a pan-India financial services solutions provider. Besides, it offers a much wider basket of loans, including vehicle finance for purchase of used commercial vehicles, housing finance and loans to micro, small and medium enterprises (MSMEs). Vasudevan, a first-generation entrepreneur, says the company was established for extending business loans to women micro-entrepreneurs. He wanted to create a financial institution for the under-privileged, with a focus on fairness and transparency. Hence the name Equitas, a Latin word that means equitable, he notes. Driven by the vision of empowering people through financial inclusion, Vasudevan started promoting entrepreneurial activities among members of Equitas. The company not only provides skill training, but also gives money to run the venture and helps market products. Equitas lends anywhere between Rs 50,000 and Rs 5 lakh, adds John Alex, group head - social initiatives, Equitas. 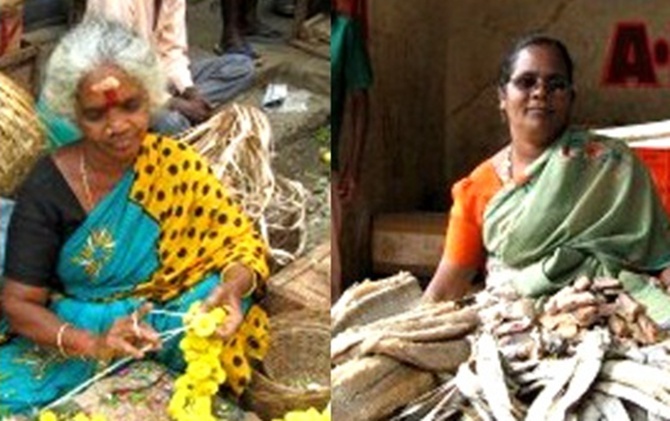 Products made by the members are sold through a network of 230 retail outlets named 'GEM', run by Equitas members in different parts of Tamil Nadu. GEM is another initiative of Equitas to promote entrepreneurs. Image: Equitas lends anywhere between Rs 50,000 and Rs 5 lakh. Ramya from Kumbakonam, whose husband is a daily-wage worker, is one such entrepreneur who is running a GEM store in her locality. A loan of Rs 12,000 from Equitas in 2010 enabled her to buy a sewing machine, through which she was able to generate a modest income. However, it was not enough. When she learned about GEM, an excited Ramya decided to start a grocery store at home. "It was initially difficult due to lack of knowledge as to how to market the product," said Ramya, who was trained by Equitas to run the store. She now earns a regular income that is nearly three times what she earned earlier. Some members have come together to launch consumer products under the Equitas brand, said Alex, unwilling to reveal more. "We want to add value by letting people have a supplementary income and our studies shows 52 per cent of our members are getting around Rs 500-3,000 a month as supplementary income," he added. The company has set a target of training 300,000 people more by 2017 to become entrepreneurs. By 2017, it wants to increase its MSME loan portfolio from Rs 250 crore (Rs 2.5 billion) to Rs 1,000 crore (Rs 10 billion).